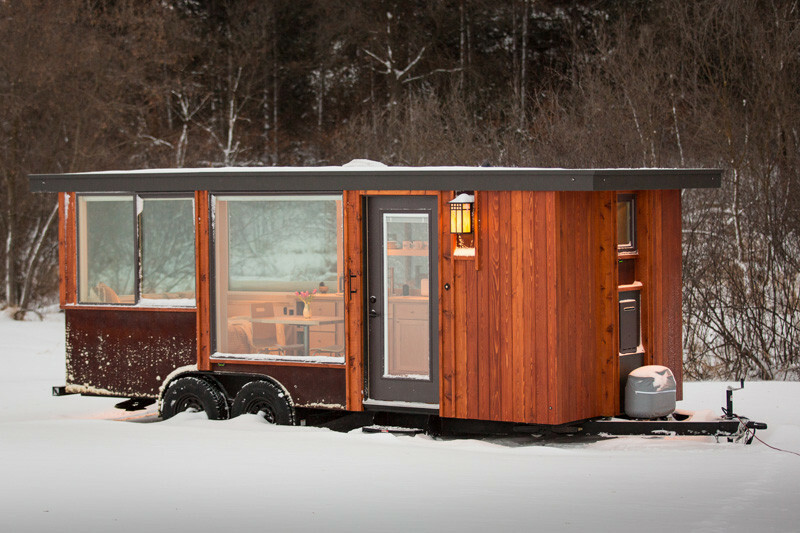 Wisconsin-based ESCAPE Homes, have sent us photos of their latest ‘personal home’, named Vista. 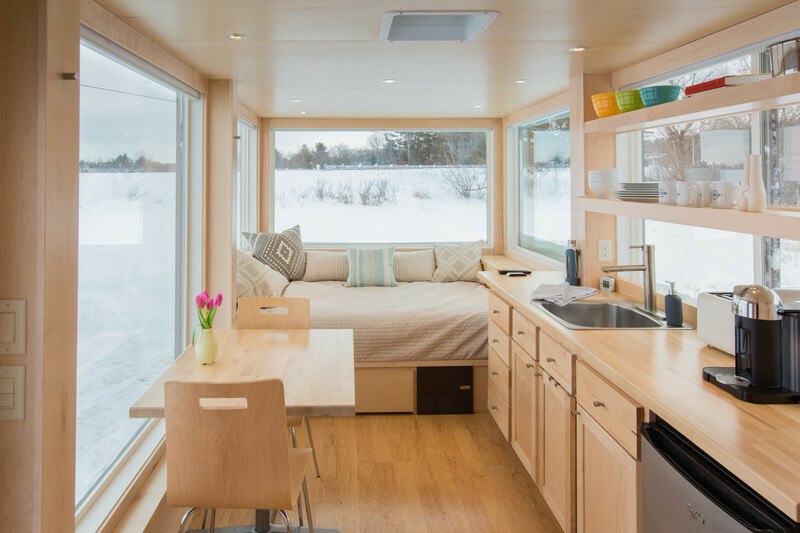 “We call them ‘Personal Homes’ because, like the personal computer and personal desk assistant, these are truly personal spaces designed to be adaptable to each person’s individual needs,” says ESCAPE Homes founder, Dan Dobrowolski. 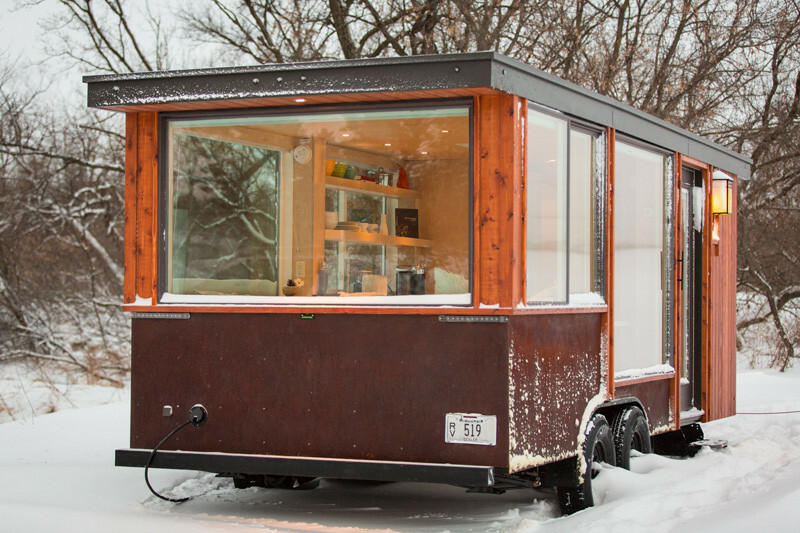 VISTA is just 160 square feet, weighs just 6500 pounds and comes in at 20 feet long. On the exterior, they used cedar vertical siding with COR-TEN steel accent and protective panels. 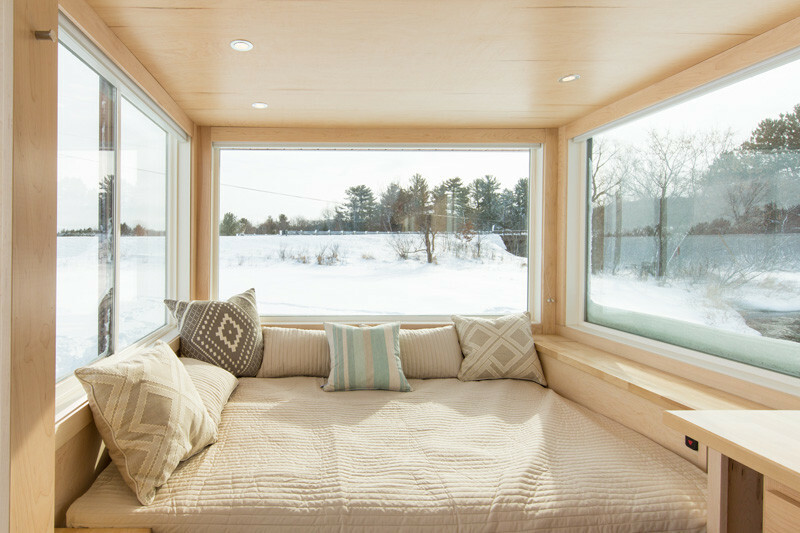 Inside the home, there is a full daybed/sleeping area, small kitchen, bathroom with full shower, small dining table, and multiple, storage areas. 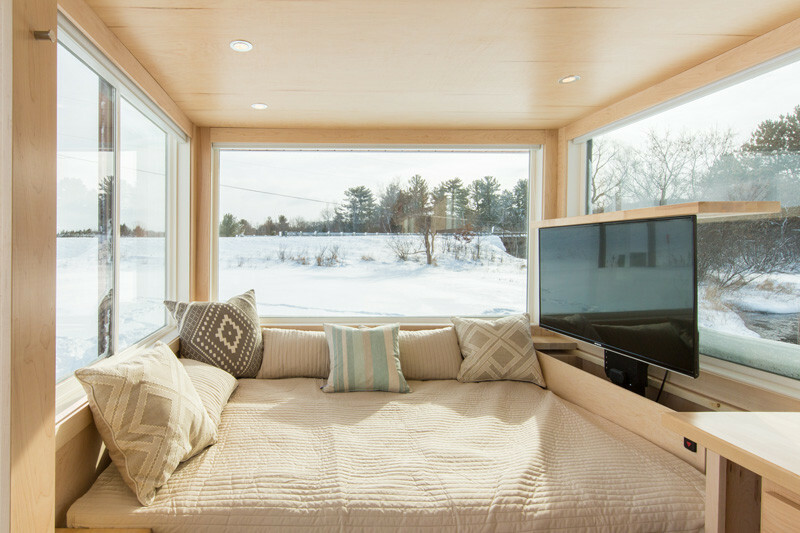 In tiny homes, it’s very important to use the space as efficiently as possible, and you can see how a TV has been hidden in the window sill. 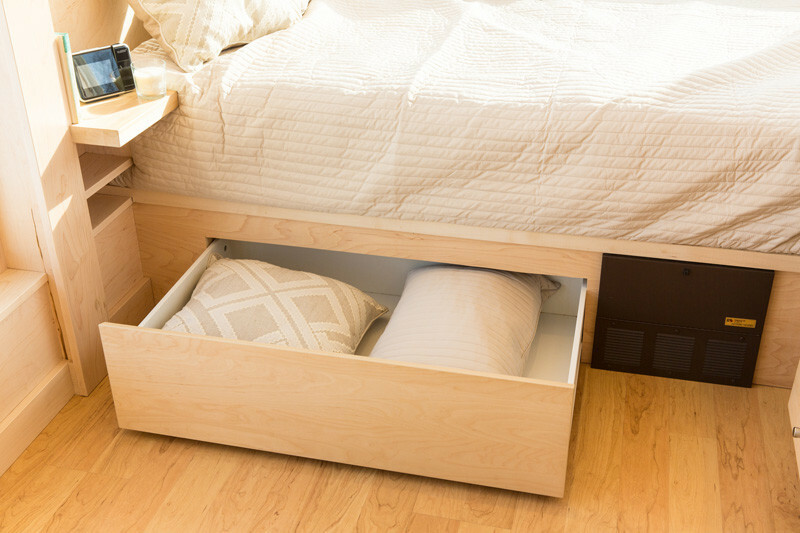 They also used the space under the bed for more storage. 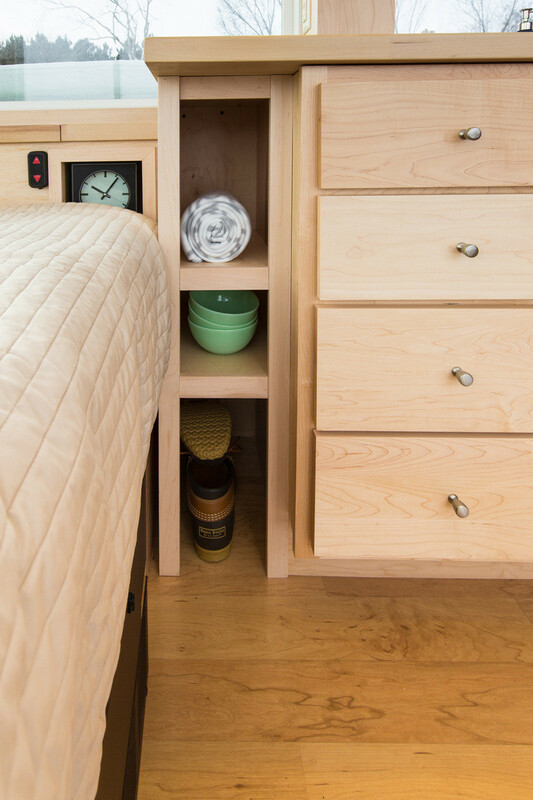 With more storage between the bed and the kitchen, even the alarm clock has its own spot. 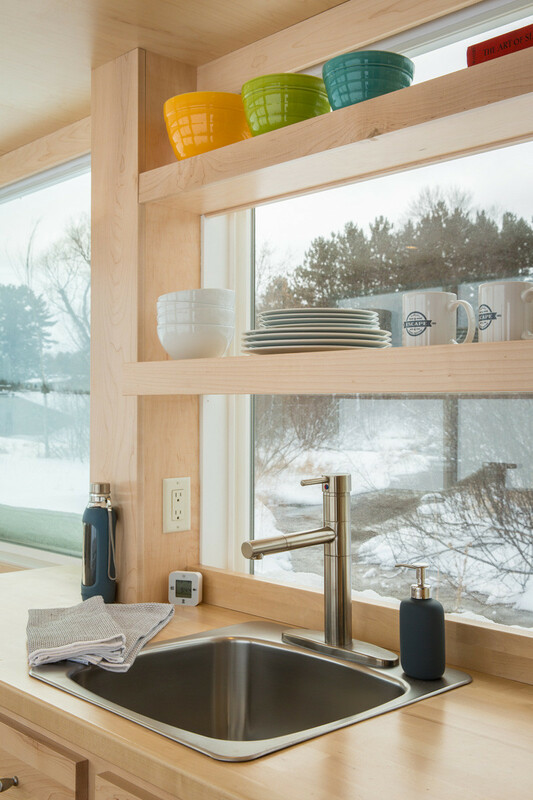 A long galley kitchen with windows, lets plenty of natural light into the space. 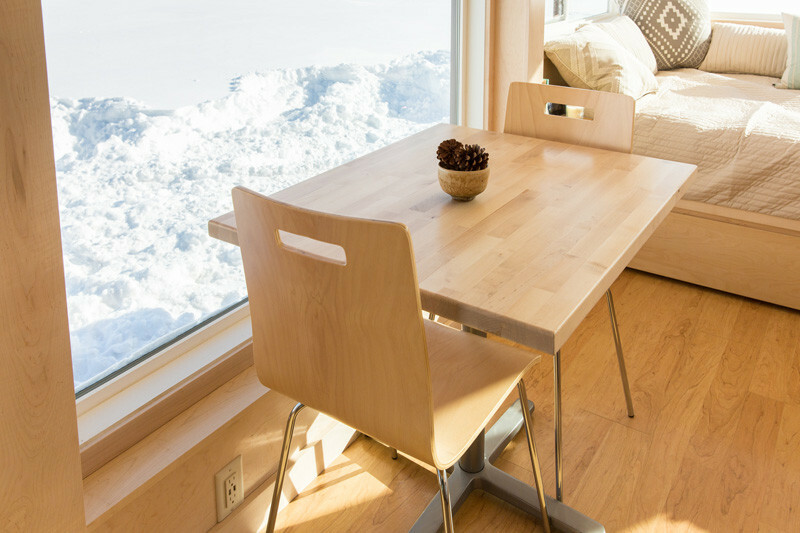 There’s even enough space for a small dining table. 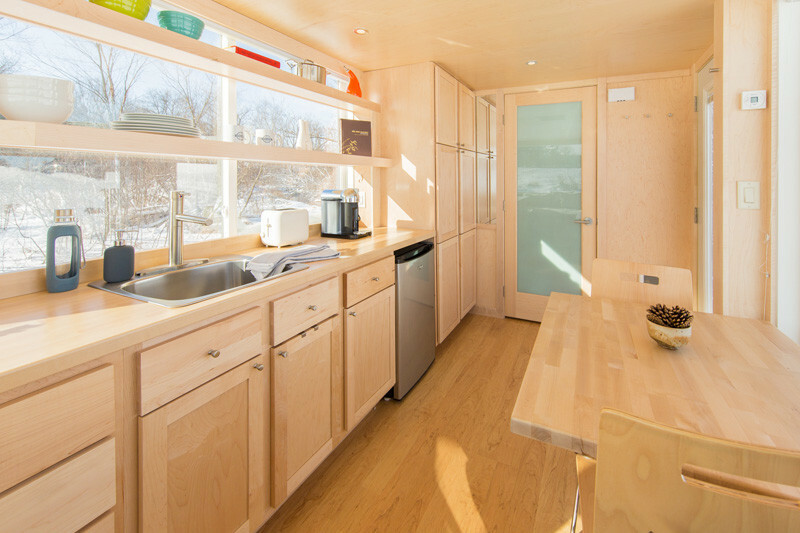 Here’s a close-up look at the kitchen design. 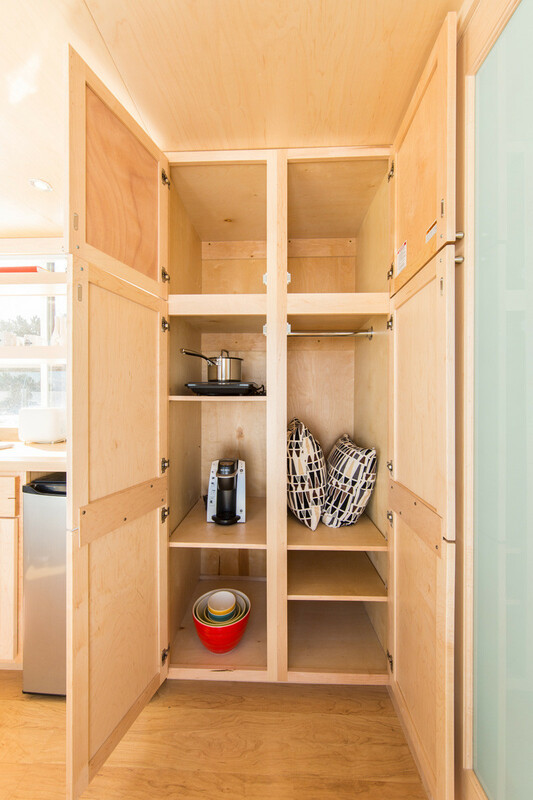 At the end of the kitchen, and next to the bathroom, there is a storage closet or pantry. 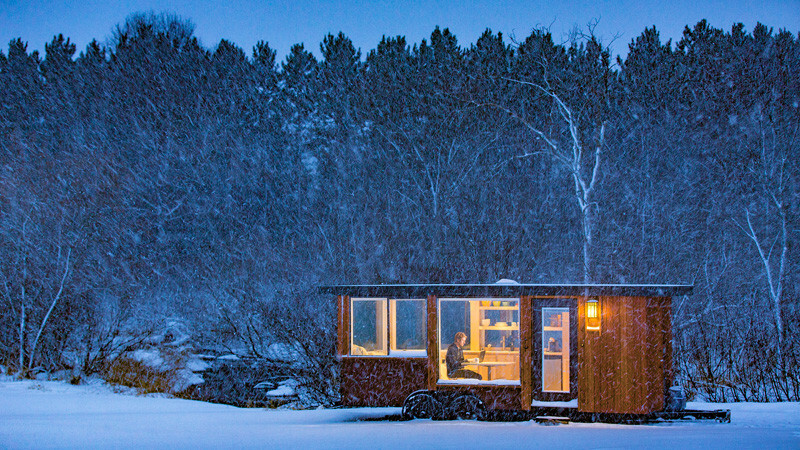 Here is a glimpse into the factory where ESCAPE Homes create their ‘personal homes’.